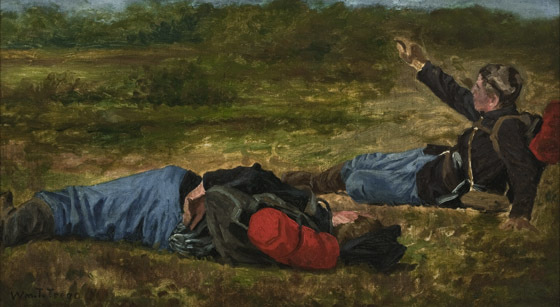 The two soldiers in this study were used separately in two later works. The soldier on the left appears in Battery—Halt! and the other in The Battle of Fair Oaks.